The local and national craft beer scenes are constantly changing, and it is crucial for breweries to find the right balance between the core styles that helped establish their brewery and making beers that will appeal to the ever-evolving preferences of their customers. To stay relevant a brewery must continually adapt and innovate, all while keeping the highest standards of quality and trying to stay true to their brand. 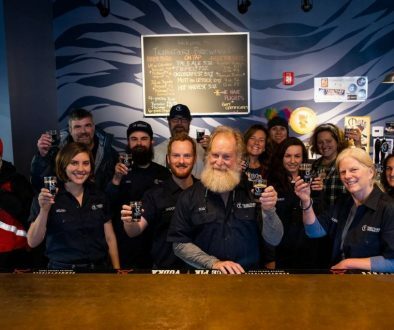 One of the most drastic examples of this continued evolution of a brewery in New England is Night Shift Brewing Company in Everett, Massachusetts (a suburb just north of Boston for those who aren’t familiar with the local geography). Founded in 2012 by three friends with a passion for brewing great beer, Night Shift has emerged as a regional powerhouse producing a wide range of flavorful ales and lagers. When Night Shift moved from a homebrewing operation in a Somerville apartment into their first 3.5 BBL brewhouse in Everett they were an interesting addition to the small but rapidly growing local craft beer scene. Night Shift began distributing their first beers in 750 mL bombers, and their brand seemed to focus on finding optimal combinations of adjunct ingredients to complement traditional beer styles. Flagship beers included Taza Stout, brewed with local chocolate, chicory root and ginger and Viva Habanera, a rye ale brewed with agave nectar and habanero peppers. These beers set Night Shift apart from the other beers being produced locally, helping the brewery stand out in a marketplace that would only get more competitive. While these early releases were popular, they were just the beginning for Night Shift. As the brewery expanded, they added several Belgian beers to the lineup, making some traditional Belgian styles along with a popular series of single-hopped Belgian IPAs. While this initial lineup helped build Night Shift into a strong local brand, most of these beers have disappeared from their current menu. Night Shift will occasionally make these classics as part of their Throwback Series, but over the 6+ years they have been in business, their core lineup has constantly progressed. One exception is their acclaimed sequence of fruited Berliner Weisses, including Ever Weisse (kiwi-strawberry) and Mainer Weisse (blueberry-cinnamon) which have remained staple Night Shift beers going back to the early days at the original brewery. The biggest changes for Night Shift came with the opening of their new brewery and taproom on 87 Santilli Highway in 2014. The timing of this opening was perfect, it coincided with the start of the boom in brewery taprooms and own-premise sales across the region. A non-descript warehouse across the street from a peanut butter factory in an industrial area of Everett quickly grew into a destination for local drinkers. With the new taproom the beers continued to evolve, with IPAs and other hop forward styles taking center stage but never overtaking the entire menu (like they do in way too many breweries nowadays). Night Shift has probably brewed a version of every major beer style you can imagine, and they routinely have an excellent selection of lagers, Belgian styles, sours, dark beers and barrel aged beers to complement the popular hoppy offerings. The last couple years has seen a continued expansion of the Night Shift brand, including multiple expansions at the taproom. In 2016 they launched their own distribution company, an interesting response to the archaic franchise laws in Massachusetts. Now Night Shift Distributing delivers their beers, along with offerings from 18 other regional craft breweries, to bars and bottle shops around the state. 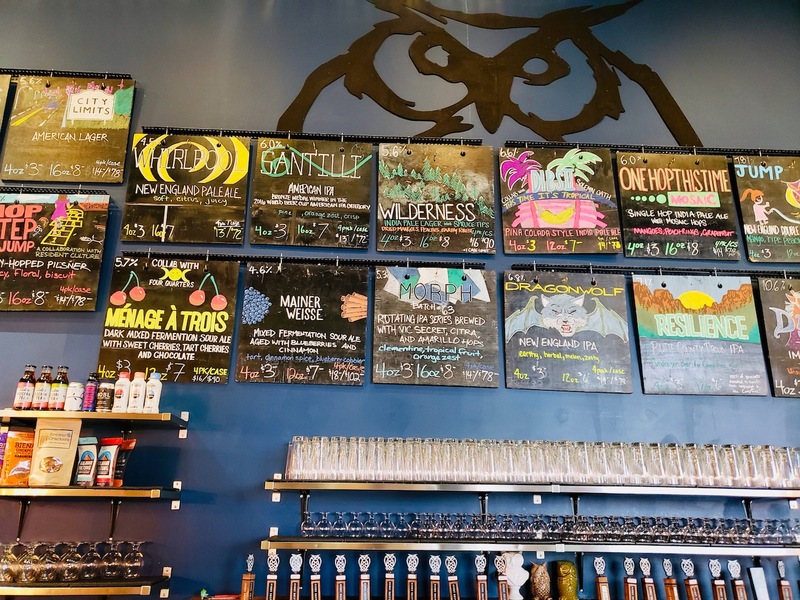 This past summer Night Shift launched The Owl’s Nest, a wildly successful seasonal beer garden on the Esplanade, a park that borders the Charles River in Boston. The biggest addition to the Night Shift profile is coming in early 2019, when they open their second location on Lovejoy Wharf in Boston. While metro and suburban Boston both have an active brewing scene, the growth in the number of breweries in the city itself has been slower due to high rents and limited production space. It makes a ton of sense for an established brand with brewing capacity outside of the city to open a second location in Boston, and I expect the Lovejoy Wharf location to quickly become a neighborhood hotspot. As a Boston-based beer writer one of the most common questions I get from readers is “what is the best local beer that I can find readily at the store?” Many of the local beers that dominate the rankings on crowd-sourced apps like Untappd and Beer Advocate are only available in small batches directly from their breweries. Finding the best local beers that are easy to find has become a pet project on my personal blog for years. Night Shift has emerged as one of the top local breweries when it comes to making top-notch beer that is also readily available. Whirlpool pale ale, Santilli IPA, The 87 DIPA and Nite Lite lager are usually easy to find at local bottle shops, along with many of their seasonal and rotating styles, and these are some of the best beers that Night Shift brews. 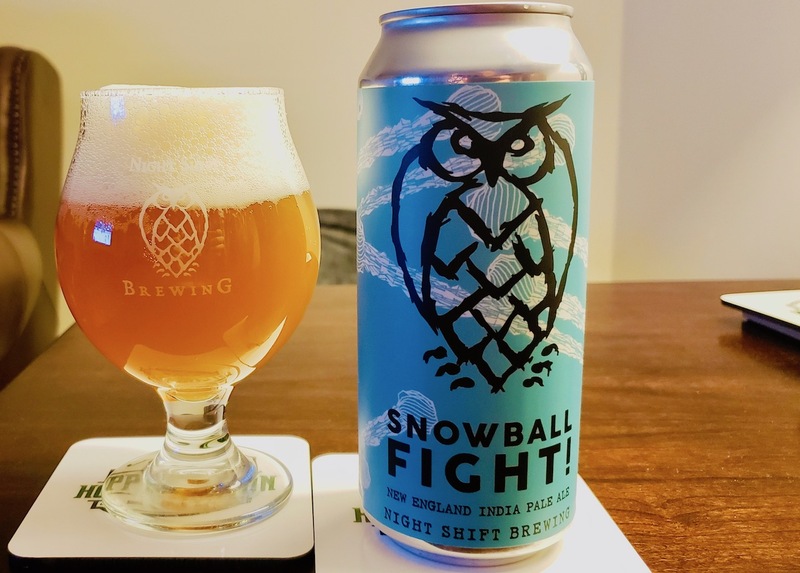 Naturally it is important to check the date codes on the hoppy beer, freshness is key, but the fact that Night Shift has their own distribution company in Massachusetts helps ensure that the beer on the shelf is kept fresh and properly stored. One of the other impressive things about Night Shift is the sheer number of beers they release. In addition to their core beers, seasonals, rotating IPAs like Morph and One Hop This Time, and the Throwback Series, Night Shift seems to release a new, brewery-only small batch beer every week. These beers help drive traffic to the brewery itself, while it’s easy to get their regular lineup at the bottle shop most of the experimental beers, including some of the distinctive offerings from their barrel program, are only available at the taproom in Everett. One criticism I’ve heard of Night Shift is that with the constant stream of releases the quality of some individual beers suffers. It’s not that the beers are bad or have any noticeable off-flavors, just that they don’t hold up to the high bar set by their standout selections. In my experience many of the limited release beers are delicious and the ones that miss the mark aren’t bad, they just taste like the recipe is a work in progress, it might just need small tweaks. It is not surprising that some of these small batch beers end up being one-off releases, some recipes get tweaked batch to batch, and some quickly establish themselves as regular parts of the rotation. I like the idea of using these small batch beers to work on recipes and get feedback from customers, and if you only want to try beers with well-established recipes, they usually have plenty of those available in the taproom. Night Shift has been one of the most interesting breweries to follow over the past few years, from the first bomber of Taza Stout I sampled years ago to a recent visit to the brewery in Everett where I sampled several brand-new releases ranging from a hop bomb IPA to a dark sour with cherries to a blonde stout with coffee. When it comes to variety of styles, willingness to experiment, and the production of top-notch beer that doesn’t require waiting in a line for a beer release, Night Shift sets themselves apart from the competition. 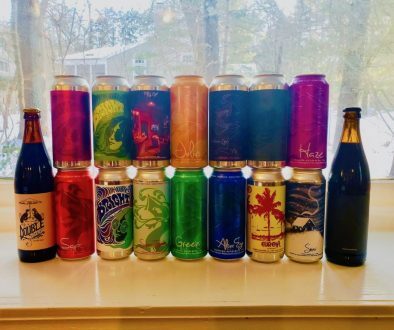 This is why their brewery is a must visit for anyone travelling to the Boston area, and why they have established themselves as one of the most popular breweries in Massachusetts. Whirlpool: Night Shift’s flagship New England style pale ale proves that big hop flavor can come in a low ABV package. Whirlpool is loaded with huge doses of Mosaic and Summer hops that will satisfy any hop-head, but at 4.5% ABV you can enjoy a few in a sitting. The 87: Night Shift made a bold move with their flagship DIPA a little over a year ago, tweaking the recipe to account for changing tastes. 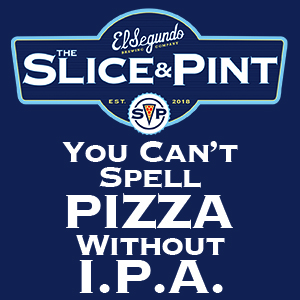 The result is spectacular, huge hop flavor and aroma along with the soft mouthfeel that is characteristic of NEIPAs. This beer measures up well with the highly rated double IPAs that other people drive miles to wait in line for. Awake: Of all the coffee infused beers I’ve tried I think Night Shift Awake is my favorite. Rich malty flavor, just enough bitterness for balance and smooth coffee flavors and aromas that complement the base beer without overwhelming it. Matisse: I love the saison style, especially in the spring and summer, and Matisse has become a go-to. With a complex blend of expressive Belgian style yeast, a light malt backbone and a bit of fruity and floral hops, this is a complex beer, but all the flavors work together, and Matisse still manages to be light, refreshing and approachable. One Hop This Time: A rotating series of single hop IPAs, with Mosaic, Citra and Simcoe all stalwarts in the rotation. Each beer is a great showcase of the individual hop variety, and enjoyable for any IPA fan. Ever Weisse: I’ve been a slow convert to sour beer styles, there are still relatively few that I really enjoy. One is definitely Ever Weisse, part of a seasonal sequence of Berliner Weisse beers that Night Shift produces. Ever Weisse is brewed with strawberry and kiwi and features just the right balance of acid and fruit to intrigue the sour newbie while also pleasing the aficionado. Waiting For Anton: Probably the most unheralded part of Night Shift’s portfolio is their lagers, but they make some tasty versions of classic European styles. One of my favorites is Waiting For Anton, a Vienna lager that combines rich malt flavor with a light body and clean lager finish. Dynasty: An imperial stout without any adjuncts, pastries or barrels, just big and bold malt flavor combined with a smooth finish that belays the double digit ABV. Awesome Blog..!!! I really enjoyed your article while reading it makes me aware of night shift brewing. I recommend this. Please keep sharing.